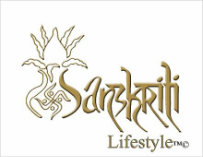 Sanskriti Online is the online store for our flagship company, Sanskriti Lifestyle. It currently carries scarves and jewelry, with the idea of increasing the product range to other textiles and home decor products. 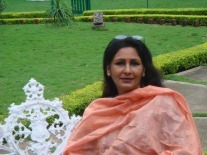 Founded by Sonali Pingale in 1995, Sanskriti Lifestyle has grown from a 370 sq. ft. boutique to a Lifestyle Experience. Set over an acre of land in Pune's Koregaon Park, Sanskriti Lifestyle now has a Lifestyle Store, an Art Gallery, a venue for cultural programs, and a high end-dining restaurant. The store is known for its exclusive colonial furniture, Indian handicrafts and home decor. Fancy some art? Visit Sanskriti Art Gallery, featuring some of the leading, and up-and-coming contemporary artists from in and around Pune. Between the shopping, sample some exquisite Indian cuisine at the restaurant. And if you just feel like wandering about the beautiful landscaped gardens, then that is an option too. We showcase elegant hardwood furniture, and a contemporary range of Home Décor items, using traditional Indian Handicraft. Wooden artifacts and carvings, brass idols and utensils, old beds and wardrobes- discover a stylish yet traditional selection of exclusive handicrafts and antique furniture. The Art Gallery features contemporary artists from in and around Pune. Experience a cultural event in the winter months- an Indian Classical music night, or fusion music are both equally enjoyable al fresco. The Landscaped Gardens Lush green lawns, three water bodies with golden koi fish and fountains, and rows of flower beds intersperse with the five Colonial- style structures that house the Lifetsyle Store, Art Gallery and Restaurant- all contributing to making Sanskriti Lifestyle a unique experience.